WASHINGTON (AP) — The Air Force said Tuesday that in addition to failing to alert the FBI to the criminal history of the former airman who massacred 26 people at a Texas church on Nov. 5, it has discovered “several dozen” other such reporting omissions. This was the most specific acknowledgement by the Air Force that its failure to report Devin P. Kelley’s criminal history was part of a pattern of reporting lapses. The several dozen cases that were not reported have since been presented to the FBI to update its database, Air Force spokeswoman Ann Stefanek said. She had no information on the time period covered by those cases. The Air Force Inspector General is reviewing compliance with reporting requirements in 60,000 cases involving serious offenses dating to 2002. In a written statement on progress in its investigation, the Air Force blamed gaps in “training and compliance measures” for the lapse involving Kelley, who had been convicted of assaulting his then-wife and stepson in 2012. The fingerprint card and the report on the outcome of his court martial were not submitted to the FBI by Air Force personnel at Kelley’s base in New Mexico. If reported, this information should have stopped him from buying weapons. READ MORE: After mass shootings, should legal guns be welcomed into church? In its statement Tuesday, the Air Force said its review found that the reporting failure in the Kelley case was by Office of Special Investigation officials and Air Force security force personnel at Holloman Air Force Base in New Mexico. In a related development, a family that lost eight relatives in the church killings filed an administrative claim with the Air Force alleging that the Air Force’s failure to report Kelley’s criminal history contributed to the massacre. Joe Holcombe and his wife Claryce filed the claim in the death of their 60-year-old son Bryan. Other Holcombe family members killed in the Nov. 5 shooting included Bryan Holcombe’s wife, his son and his pregnant daughter-in-law. The claim could lead to a lawsuit if the Air Force denies it was at fault. The claim alleges that although Kelley pulled the trigger, “the failures of the Air Force, and others, allowed the shooter to purchase, own and/or possess the semiautomatic rifle, ammunition and body armor he used, and it is these failures that were the proximate cause” of the injuries and death. 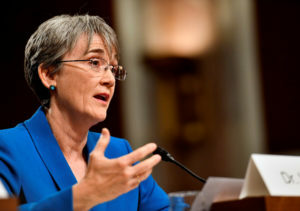 An Air Force spokeswoman, Ann Stefanek, said the Air Force does not comment on specific claims. In its statement about the broader scope of the reporting issue, the Air Force said it has made changes designed to prevent such failures in the future. For example, it is now requiring that leaders up the chain of command verify that criminal history reporting requirements have been met in every case. In the Kelley case, the failure to submit the required information to the FBI was not caught by higher-ups because no such verification was required. Associated Press writer Juan Lozano contributed from Houston. After mass shootings, should legal guns be welcomed into church?